This large and spacious room has now been transformed from a children's play room to the perfect storage area for over 1800 bottles of wine! 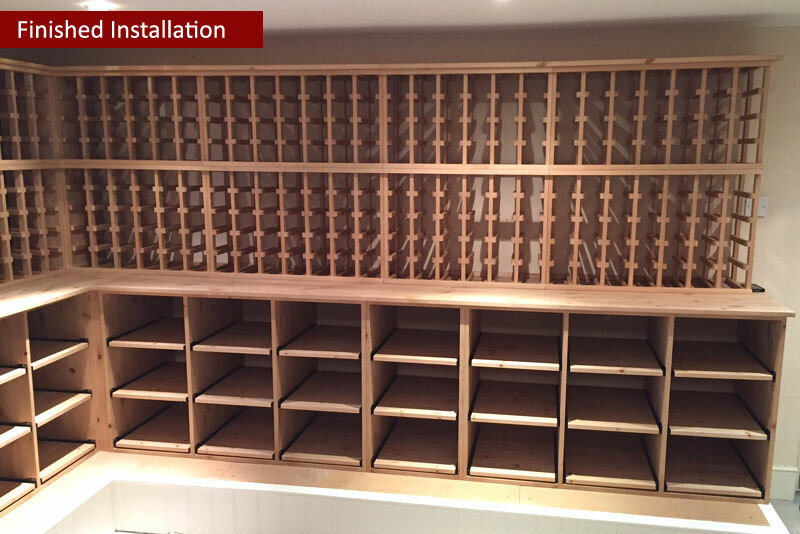 The customer required a combination of different racking types as their collection included cases as well a reasonable quantity of individual bottles. Due to the space and layout of the room, we were able to break the racking into 5 spaces, providing a similar layout and height throughout, the bulk storage below worktop height and most of the individual bottle storage above. 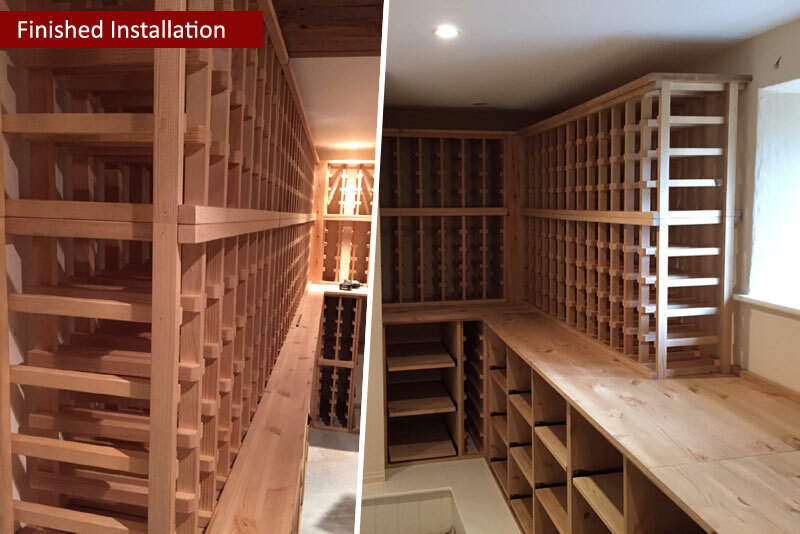 All of the racking provided at this private home in Basingstoke, Hampshire was supplied in solid pine with a light oak stain, the majority of the units were built offsite before arriving at the property to save time and speed up the installation process. In just under 7 hours, we were able to transform this room so our happy client is now able to store over 1800 bottles! "From start to finish, the process of building our cellar was outstandingly handled. 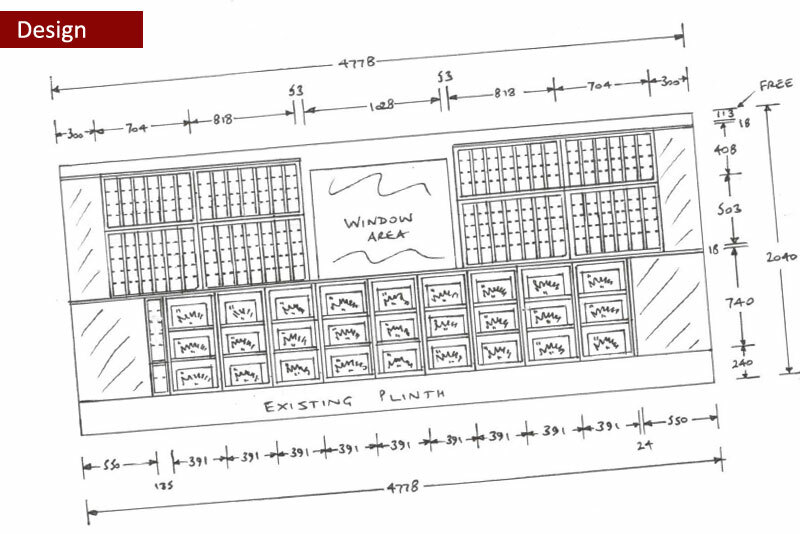 Chris came around to evaluate the dimensions of our cellar, discussed our vision and provided detailed information on the wide range of racking options available. He was very clear about the cost implications and the timetable for delivery. The majority of the construction was carried out offsite and the final fitting was achieved in miraculous time, with no mess and exceptional craftsmanship and professionalism. All my expectations and aspirations were met and I can highly recommend the team from Wineware." Contact Wineware today for more information about creating your own home wine cellar or wine room, we can provide you with a quote and 3D design for FREE! Looking for some wine cellar inspiration? 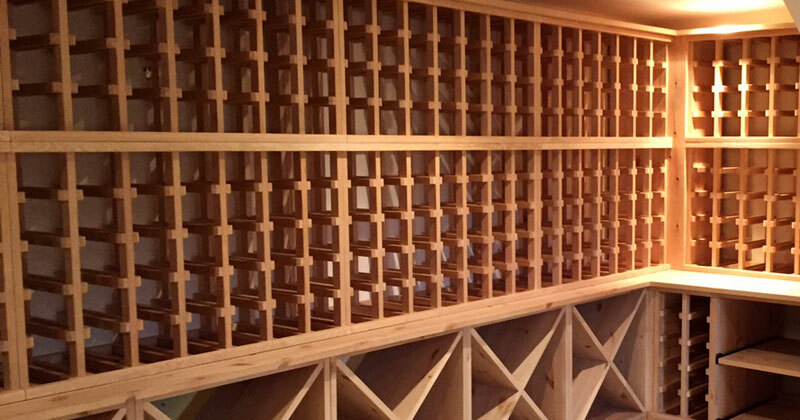 See all of our Custom Wine Room and Cellar Projects Testimonials by visiting our Houzz profile! 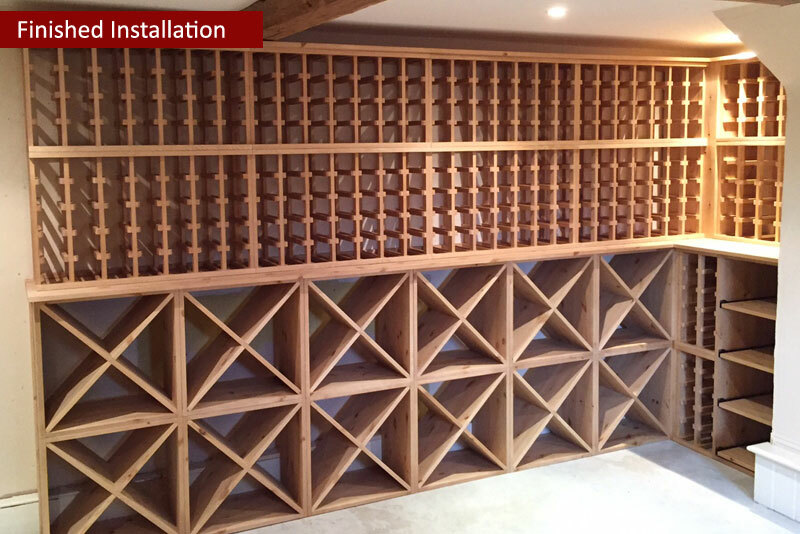 You can see a selection of some of our bespoke wine cellar projects as well other customer reviews and testimonials. 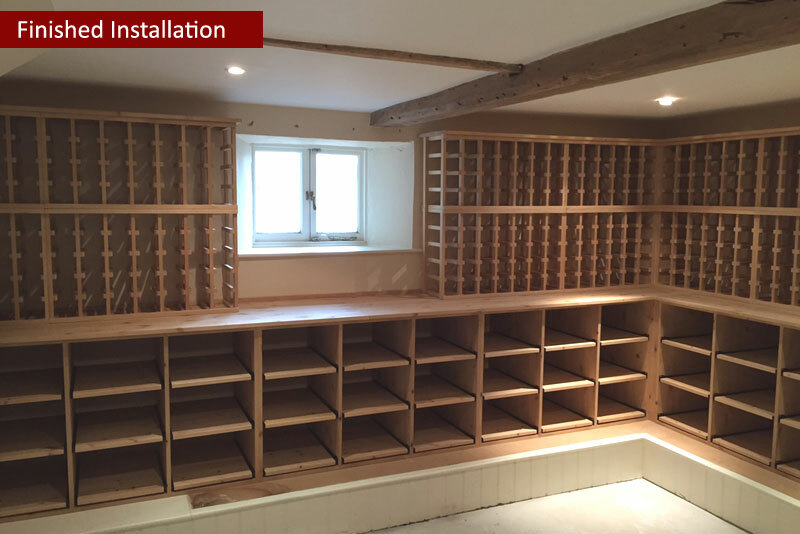 Compact wine room in Warwickshire storing standard bottles, spirits, glassware + more! Medium size residential wine room in West Sussex with purpose built double glass doors!